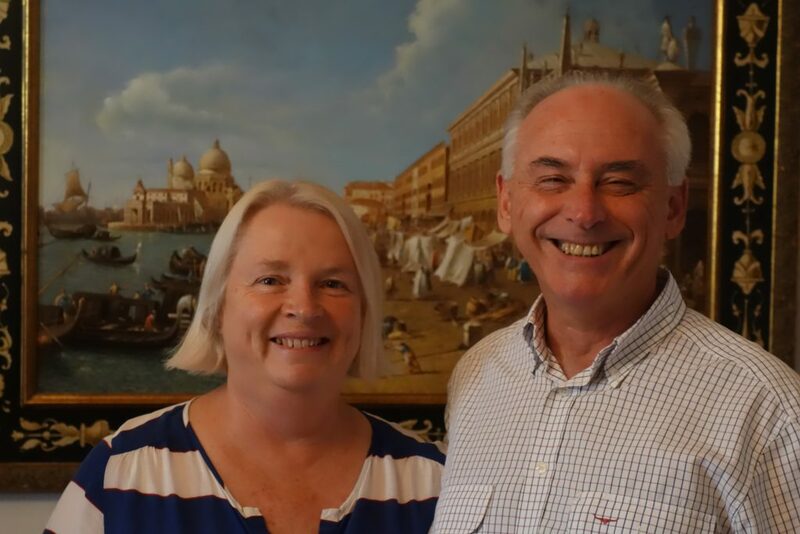 Our family celebrated Christmas a day early because we are travelling on the 25th. 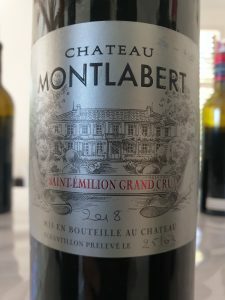 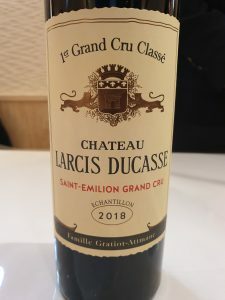 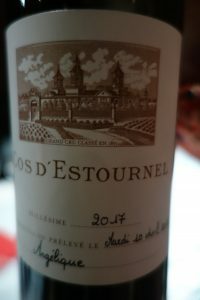 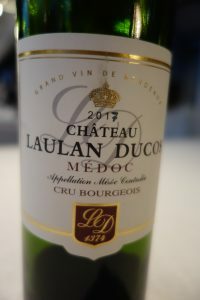 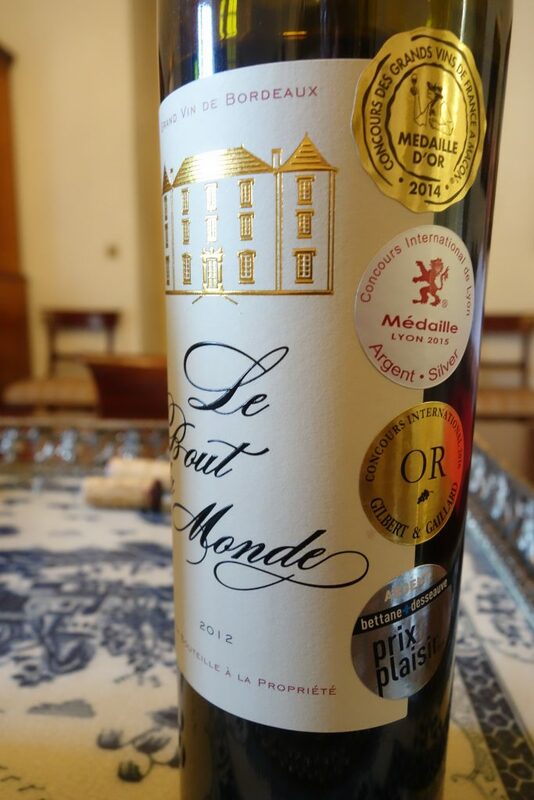 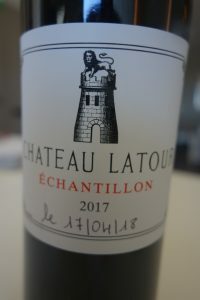 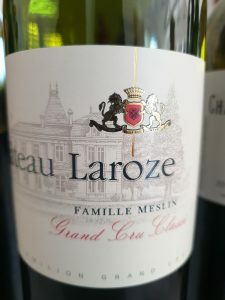 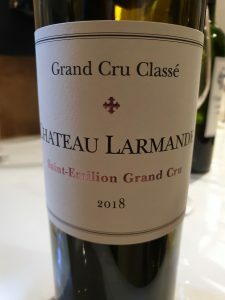 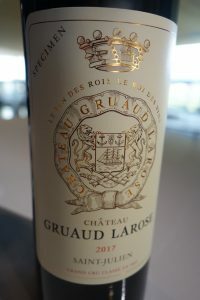 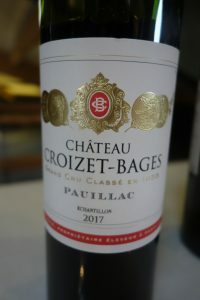 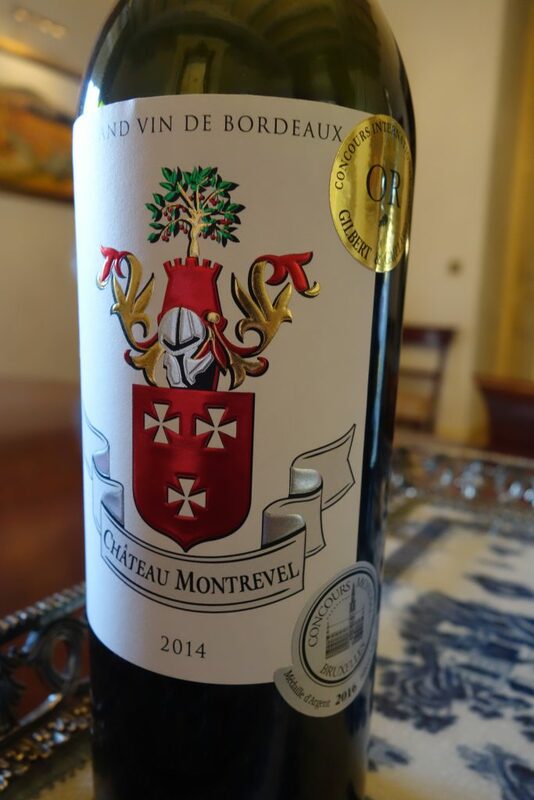 Our holiday meal consisted of shrimp cocktail and tournedos and I thought it might be fun to drink both the red and white wine of a Médoc great growth: Château Lagrange. 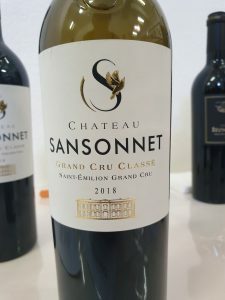 The color was pale yellow and the nose was soft and understated with marked gooseberry aromas. 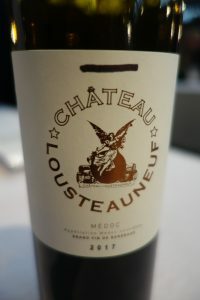 There were also some butterscotch and meringue nuances.The wine featured more personality on the palate. 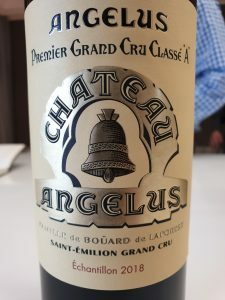 The first impression was of vanilla and almond overtones due to barrel ageing. 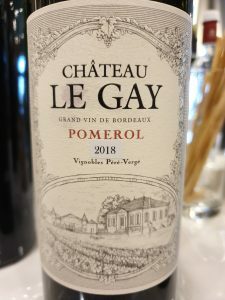 But, fortunately, there was more to the wine than that. 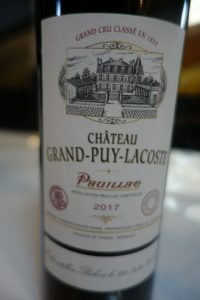 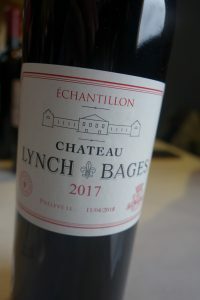 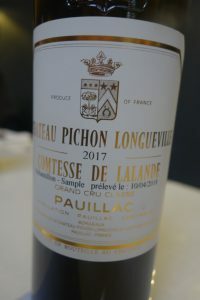 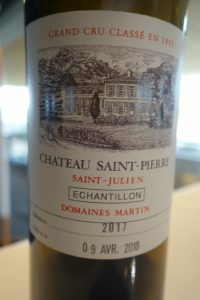 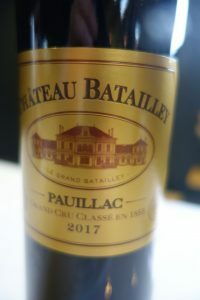 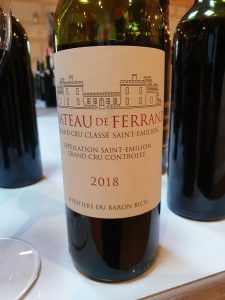 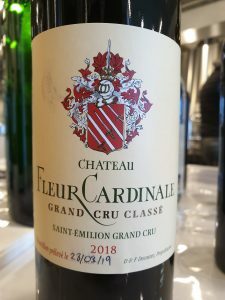 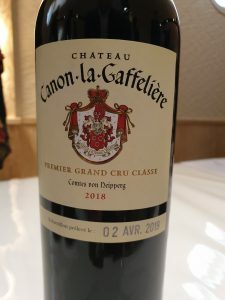 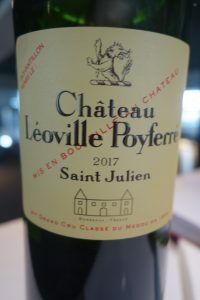 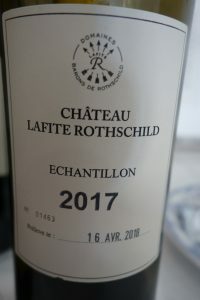 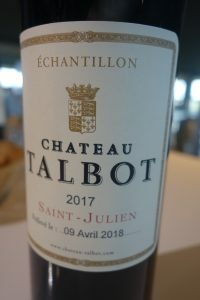 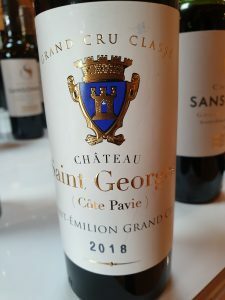 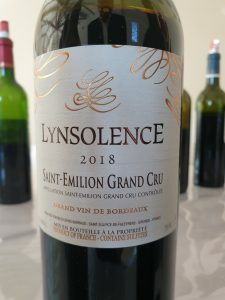 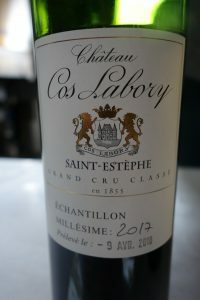 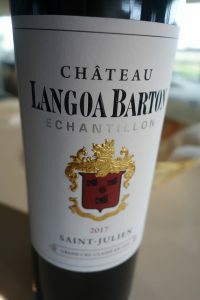 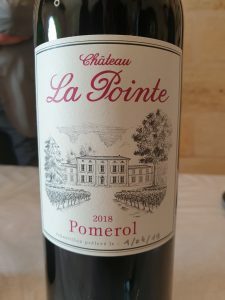 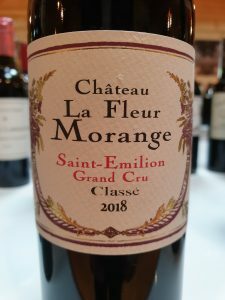 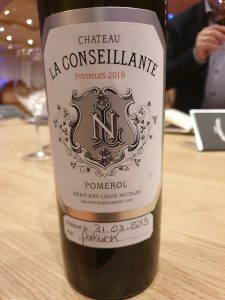 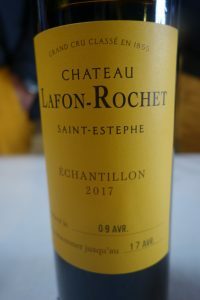 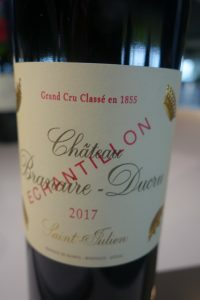 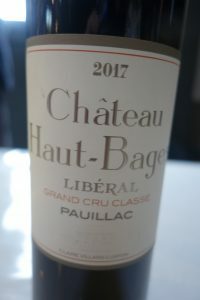 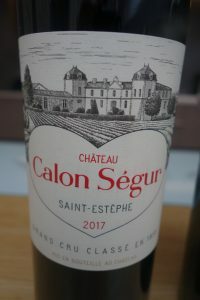 It started out quite round on the palate with an impression of sweetness (although it is probably perfectly dry) and some lanoline notes before dipping somewhat and then returning with a delicious mineral aftertaste. 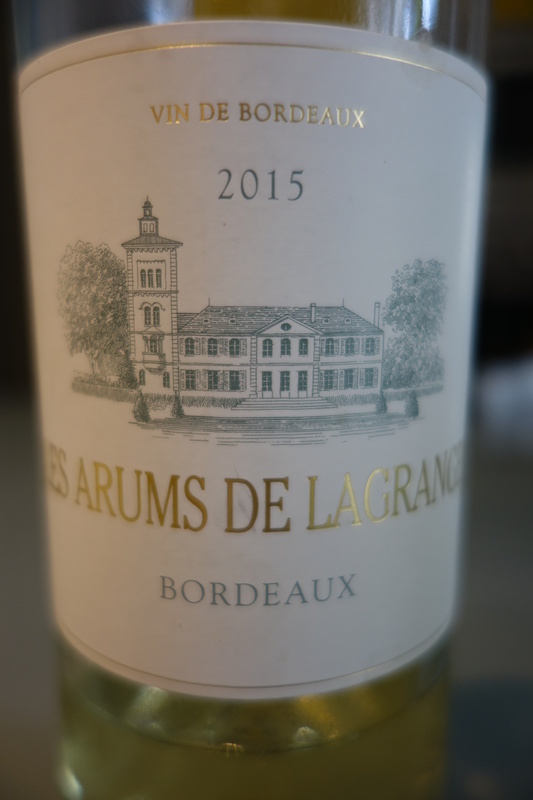 2015 Les Arums is fine to drink now, i.e. 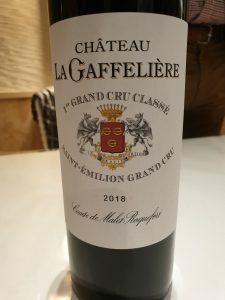 it has not much to gain by further cellaring. 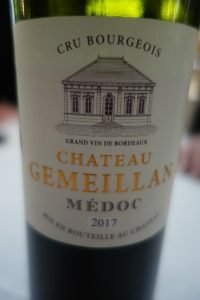 The odd thing is that, if tasted blind, I might more easily have taken it for a Loire Valley white than one from Bordeaux! 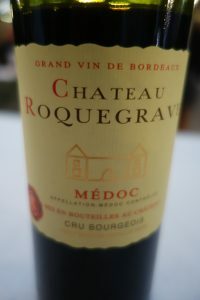 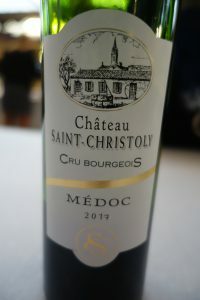 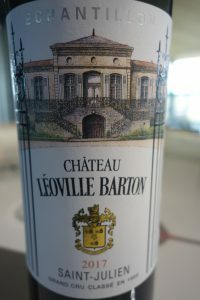 In that, it is similar to another Médoc white, Alto from Ch. 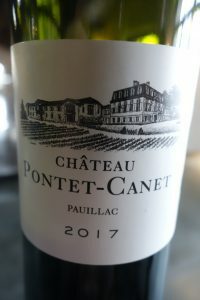 Cantenac Brown. 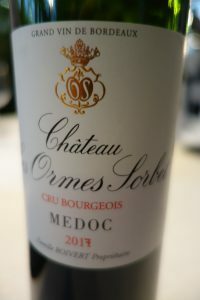 White Médocs are not as rare as they used to be. 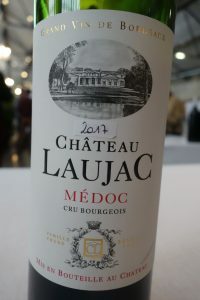 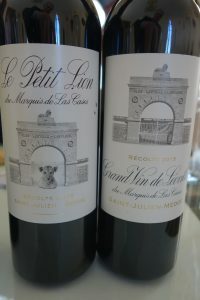 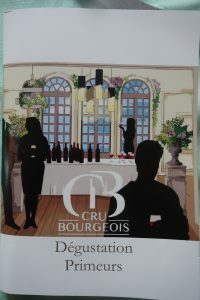 They must be sold under the Bordeaux appellation, because all Médoc must be red. 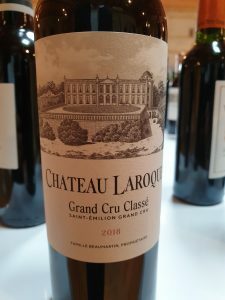 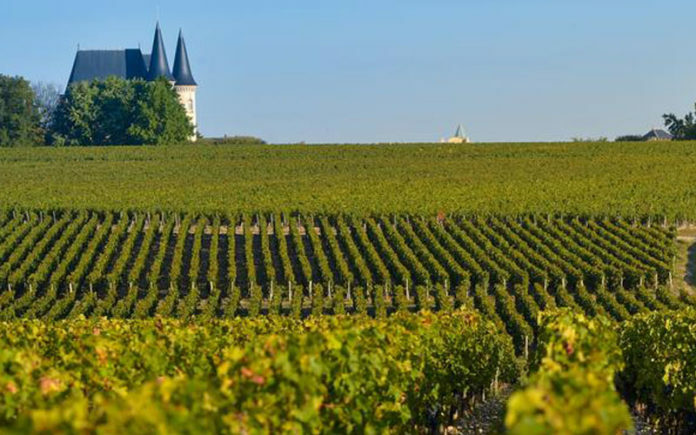 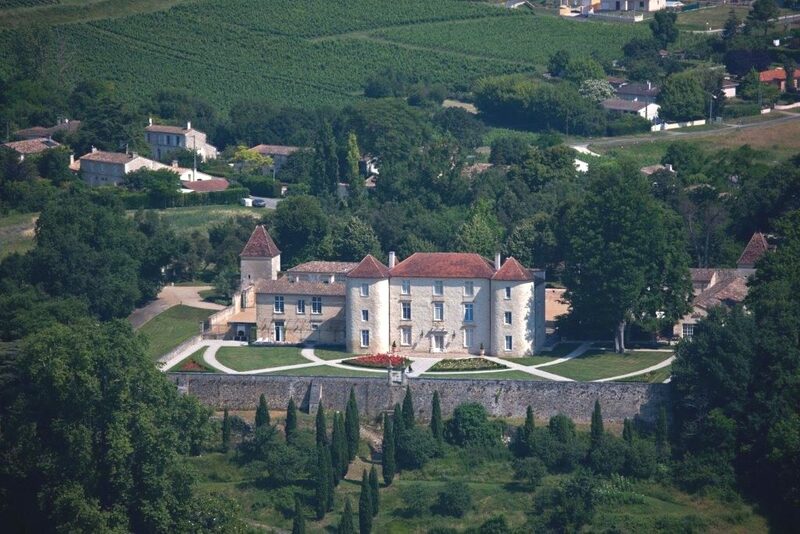 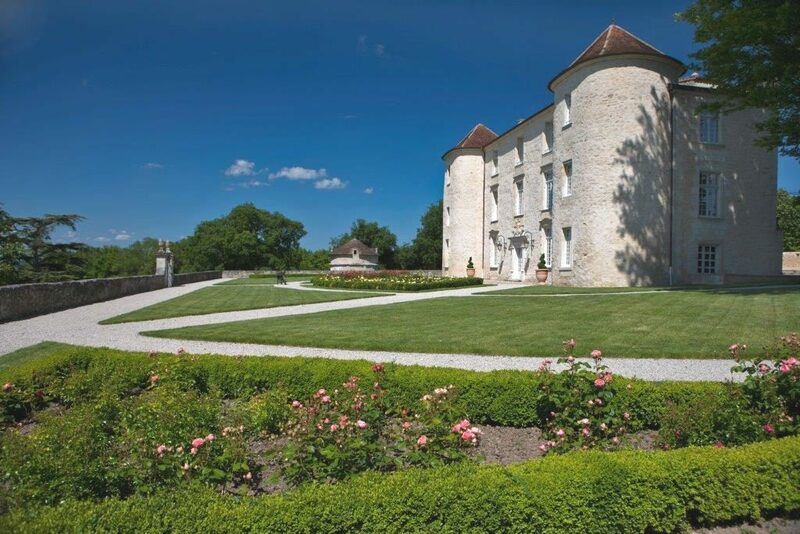 Château Lagrange is a huge estate – at 118 hectares, as large as some entire appellations in Burgundy! 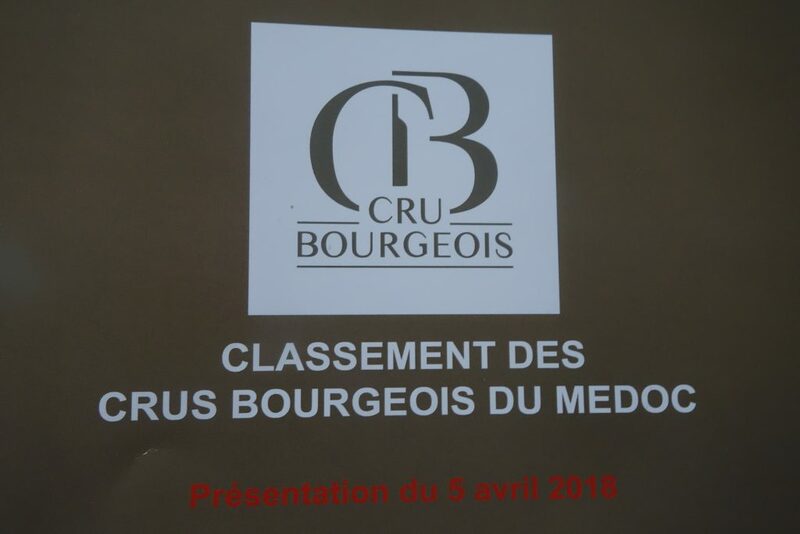 Of course, most of this is given over to red wine production. 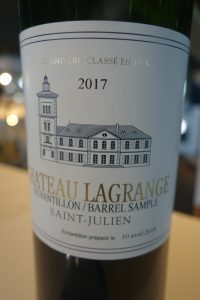 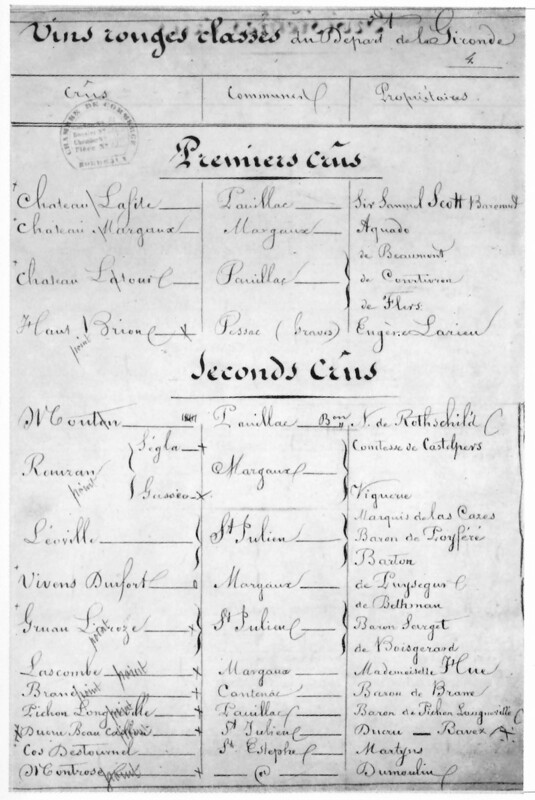 Lagrange was included among the third growths of Saint-Julien in the 1855 classification. 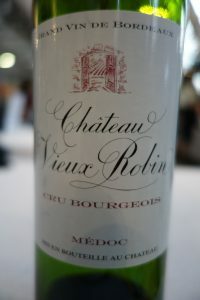 It was acquired by the Japanese Suntory group in 1983. I have long considered Lagrange a reliable, trustworthy wine. 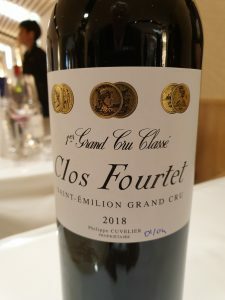 Not top tier among the classified growths, but sold at a very reasonable price. 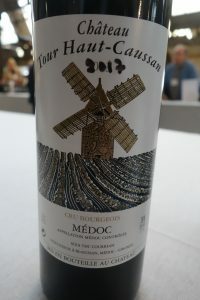 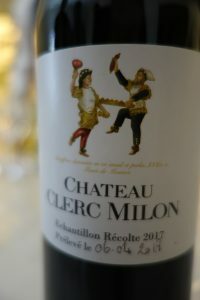 So, I was interested to try the wine from the well-reputed 2000 vintage (76% Cabernet Sauvignon and 24% Merlot), which I decanted 4 hours prior to serving. 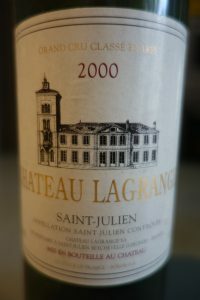 The wine had a very dark core and, surprisingly, some youthful purplish highlights on the rim. 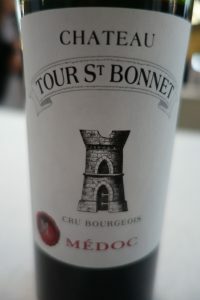 The sweet bouquet had decided blackberrry and liquorice aromas, but was rather one-dimensional. 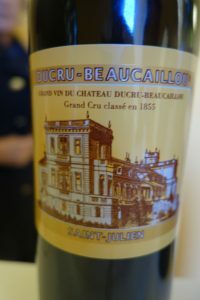 There were also some beeswax/old library overtones. 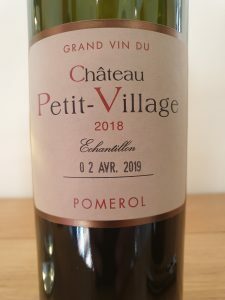 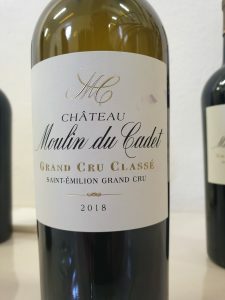 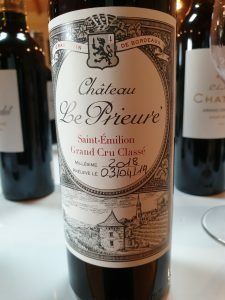 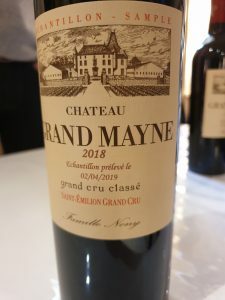 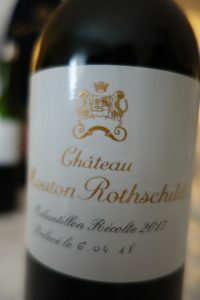 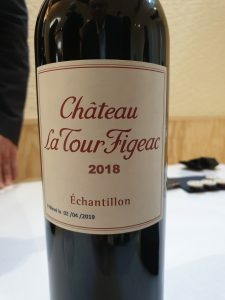 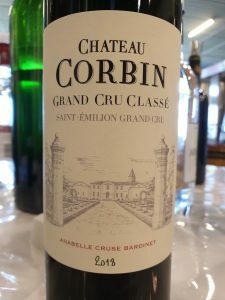 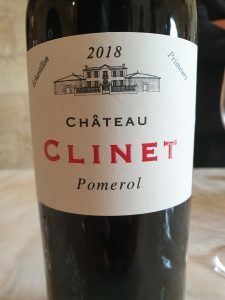 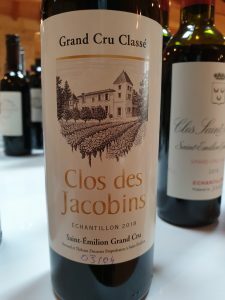 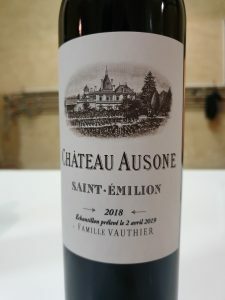 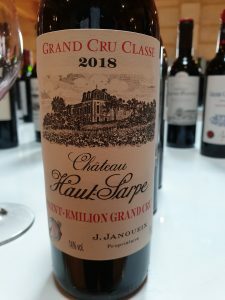 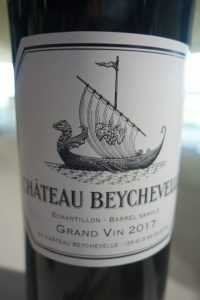 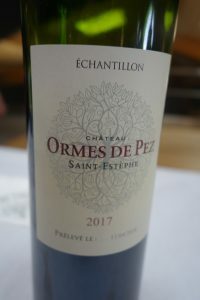 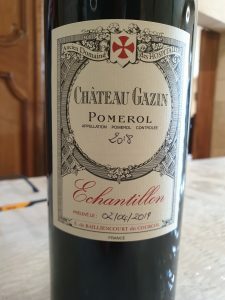 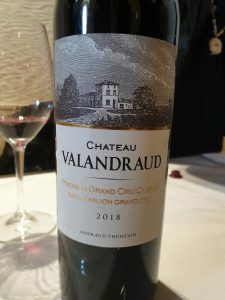 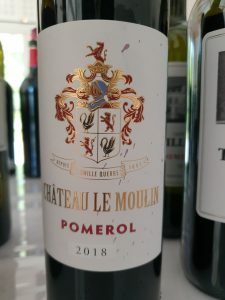 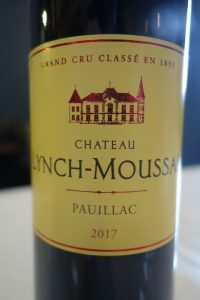 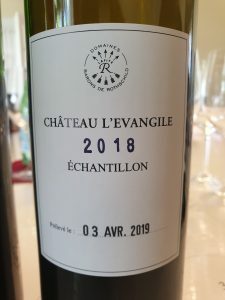 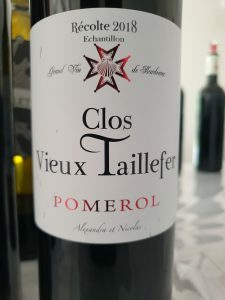 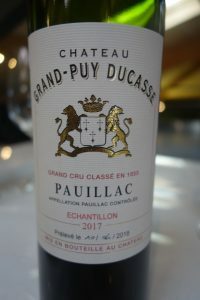 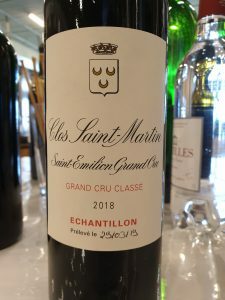 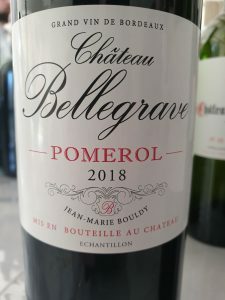 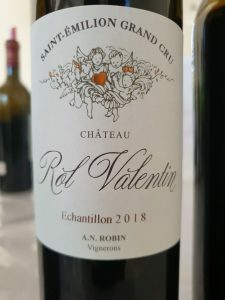 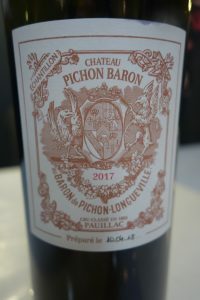 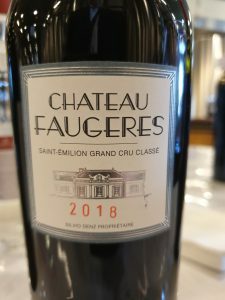 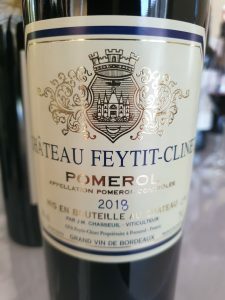 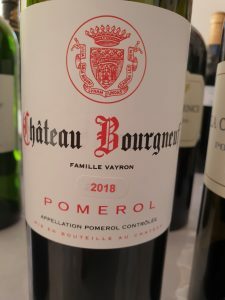 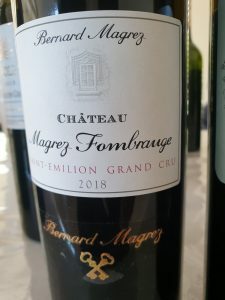 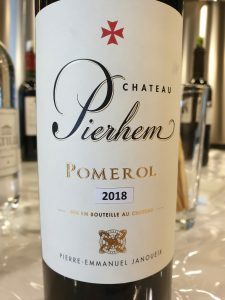 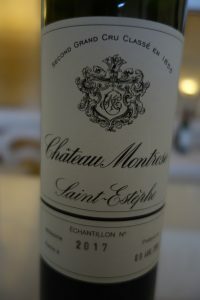 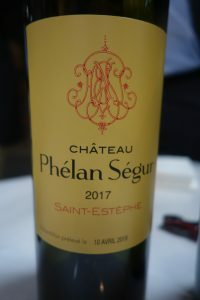 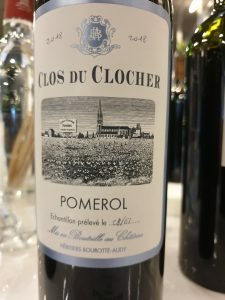 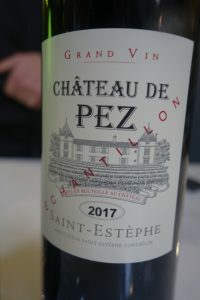 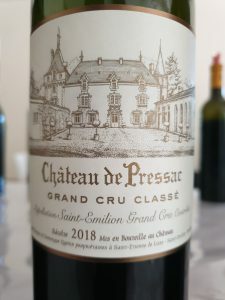 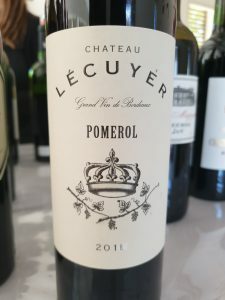 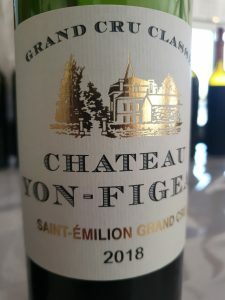 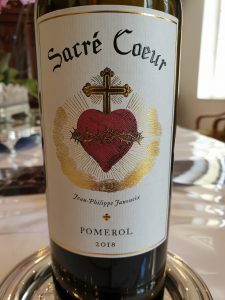 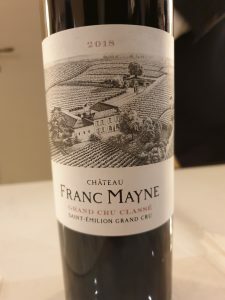 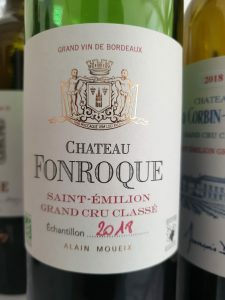 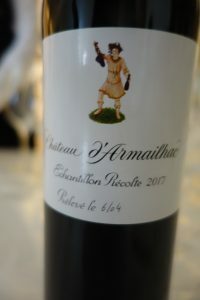 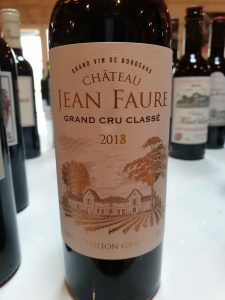 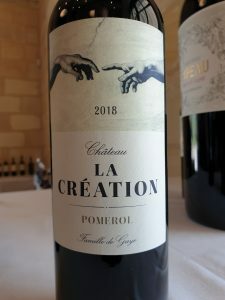 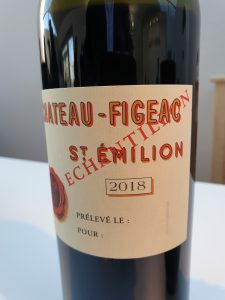 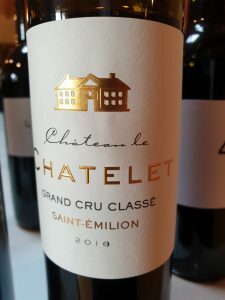 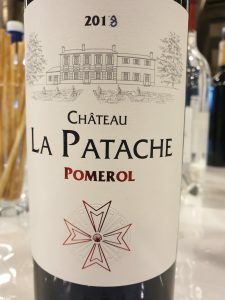 The wine started off by melting in the mouth, continued with a fluid, fresh, unctuous texture, and then finished with some grippy tannin as well as cranberry and chocolate nuances. 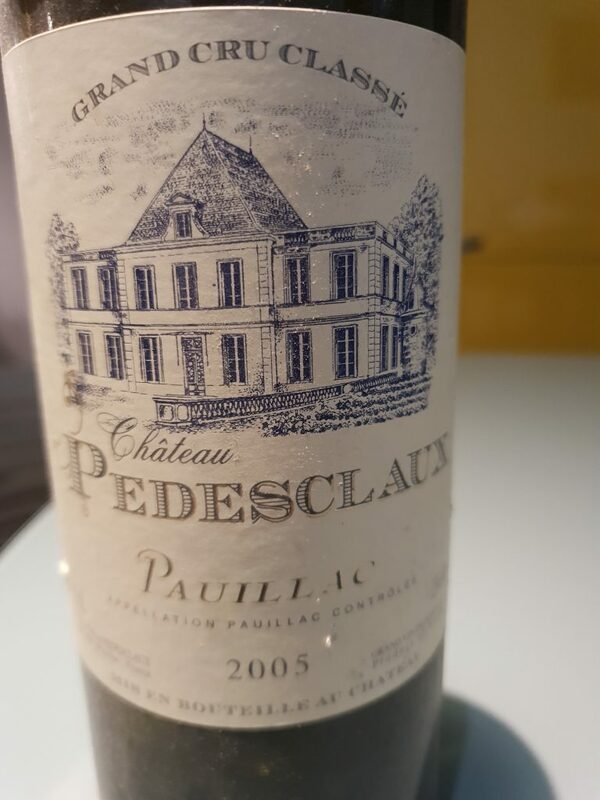 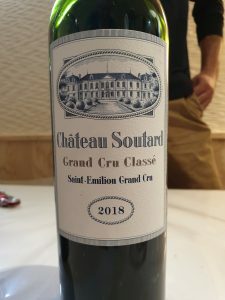 As expected, there were blackcurrant flavours and, even in this ripe vintage, a soupçon of greenness. 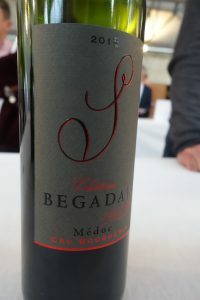 The wine featured a medium-heavy mouthfeel and a touch of heat and dryness on the finish. 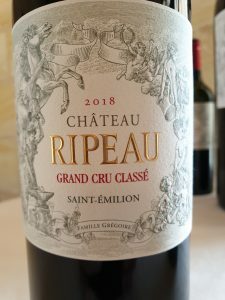 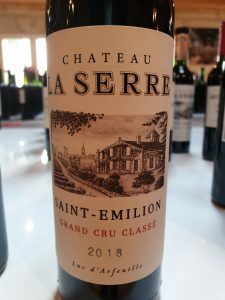 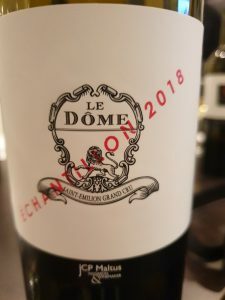 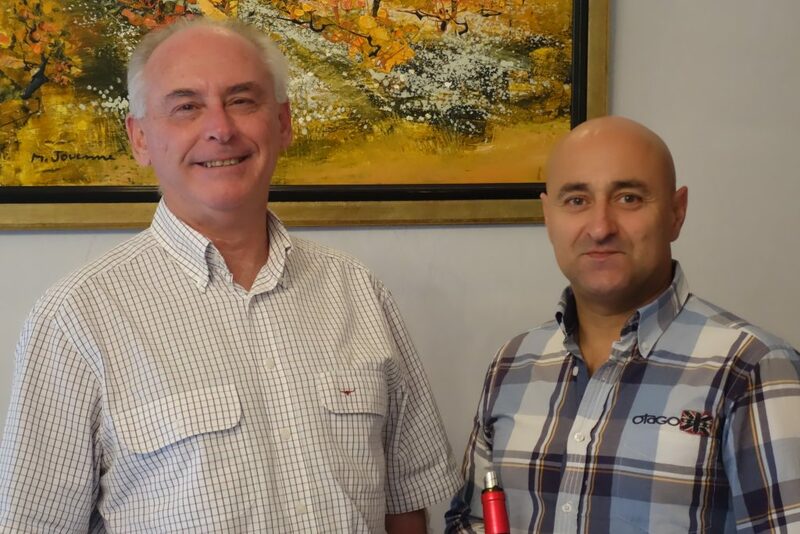 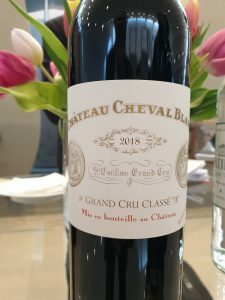 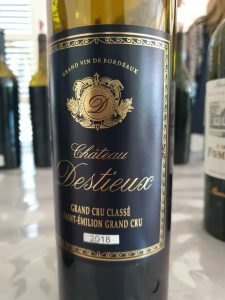 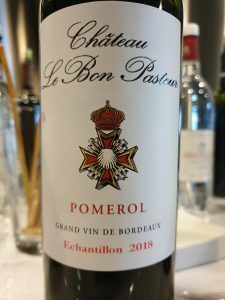 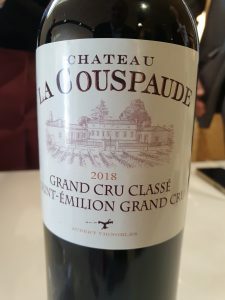 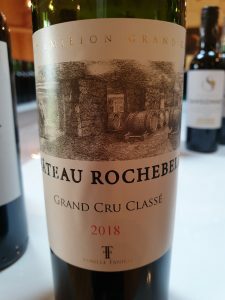 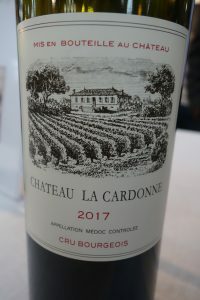 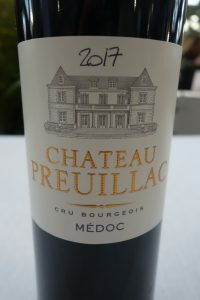 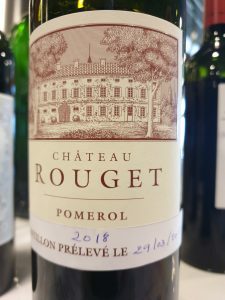 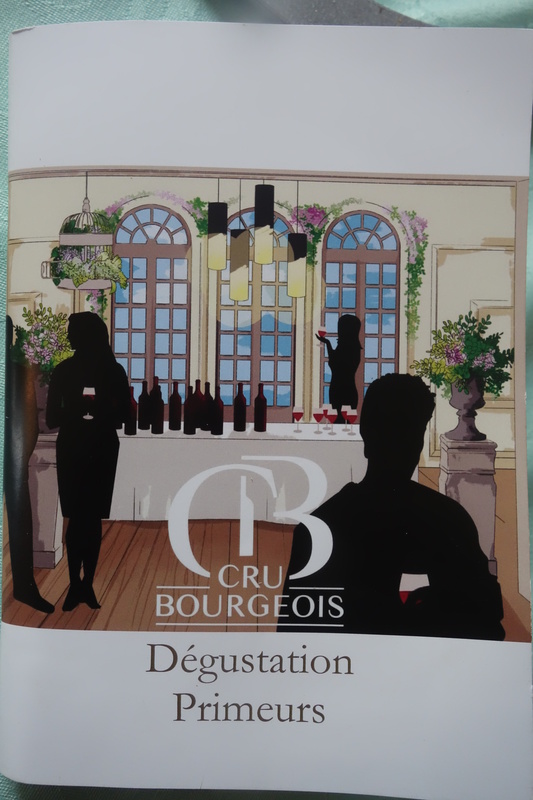 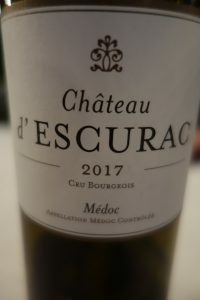 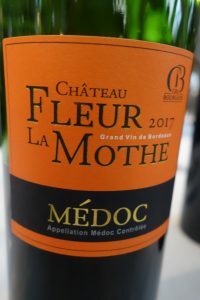 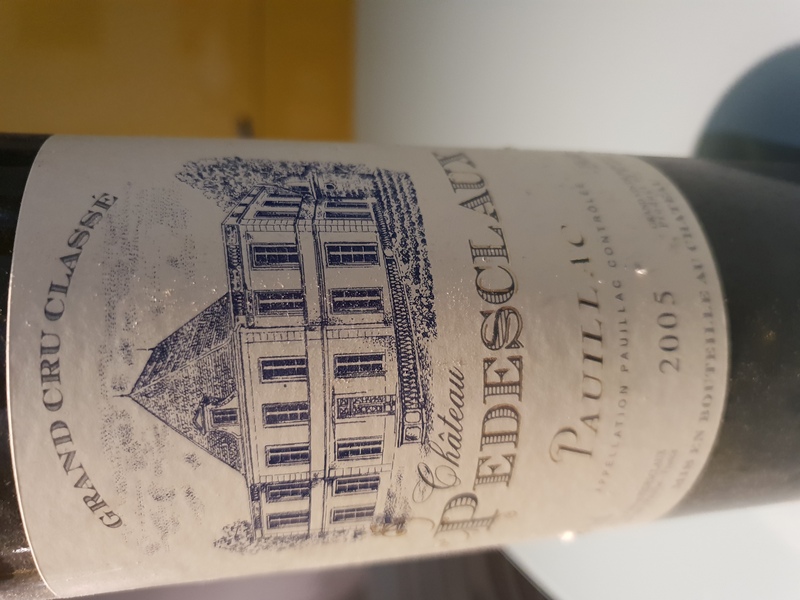 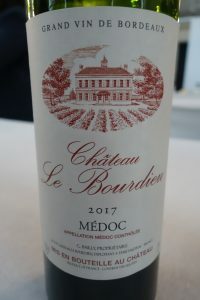 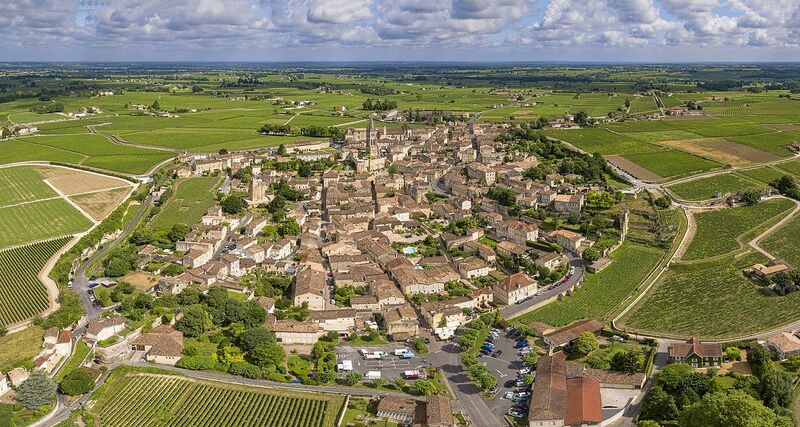 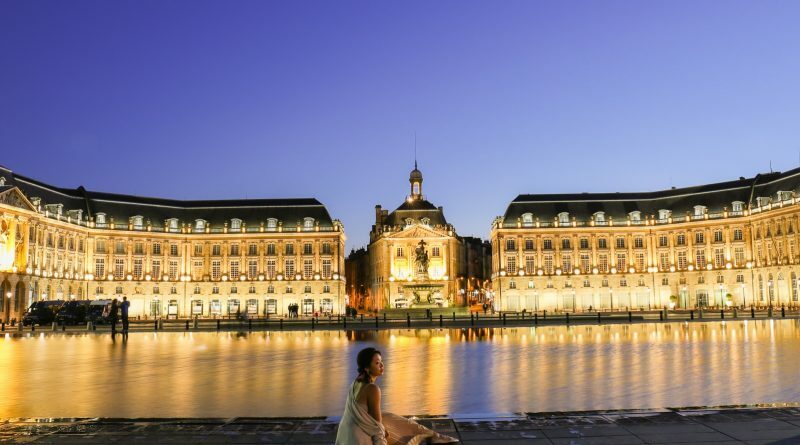 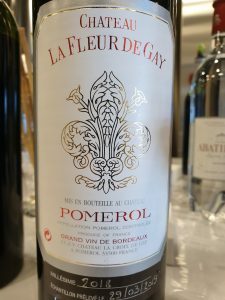 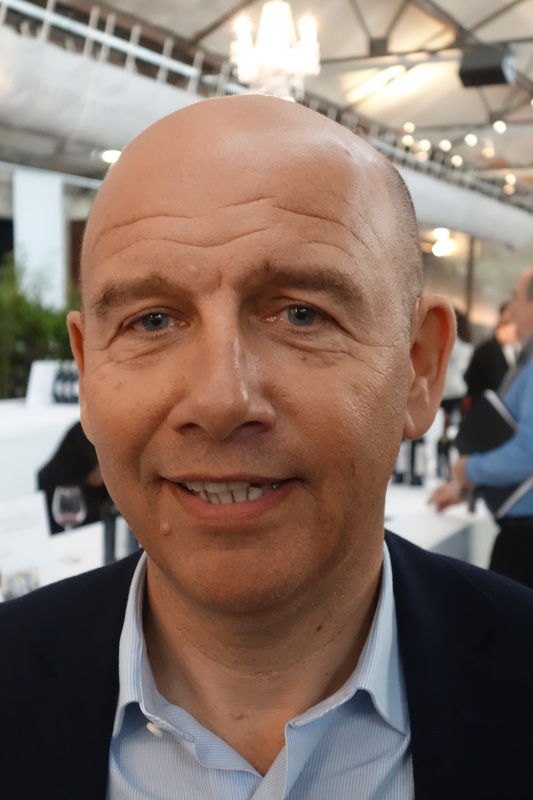 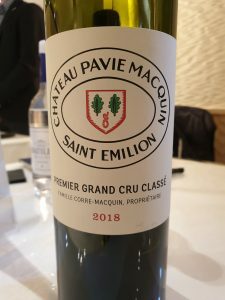 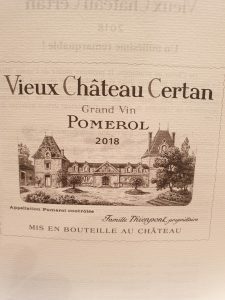 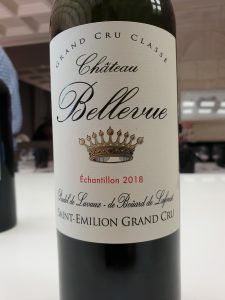 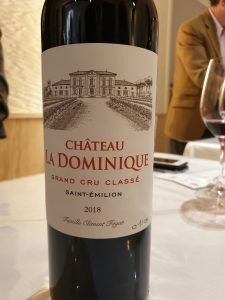 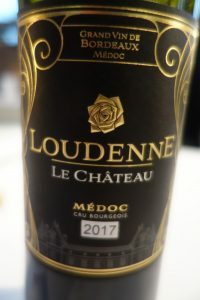 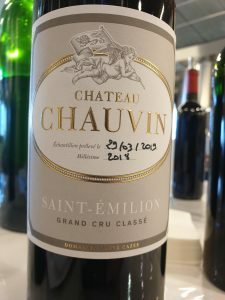 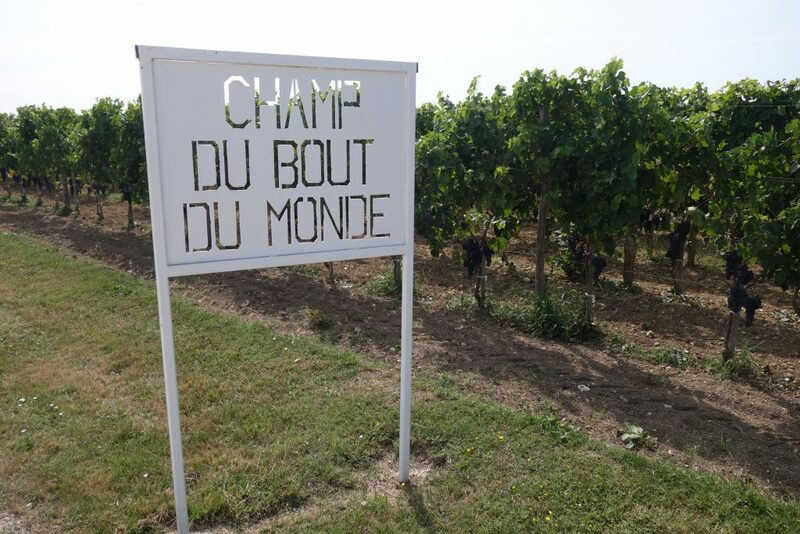 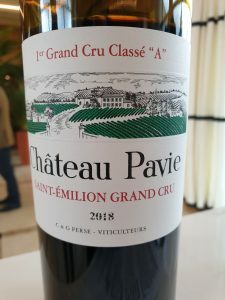 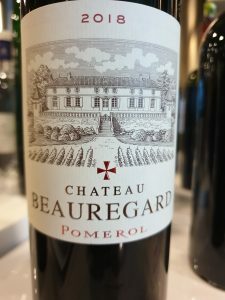 Posted in Tasting notes and tagged Bordeaux, bordeaux wines, Médoc, medoc-bordeaux, vavino on December 25, 2017 by AlexR.